Randomly display any number of Stacks. Fill this with Stacks and your web site will show any number of them randomly each time you visit or refresh the page. Drop images in here and choose to have one randomly displayed. Or throw some text tips in and have a few shown at a time. Stacks Select the total number of stacks from which to pick one or more for display. 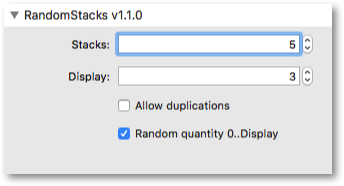 Display Select the number of stacks to display randomly at one time. Limit this number to the total available Stacks above, unless you have enabled duplicates below! 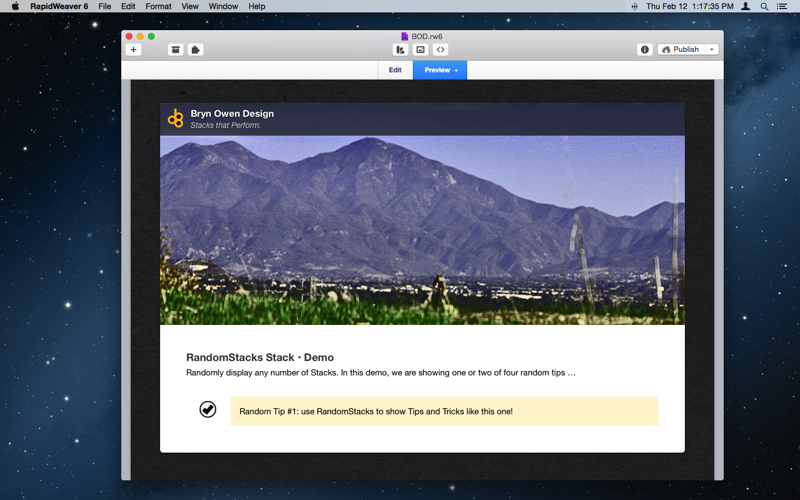 Allow duplications Enable this to allow random selection of stacks which may result in duplicates. Stacks can appear in any order. The default is to prevent this so that all selected stacks are unique, and they also only appear in the order they were originally defined. 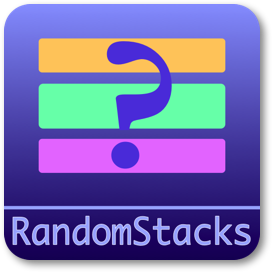 Random quantity 0..Display Enable this to allow any number of stacks to be selected, between zero and the Display number selected above. When disabled, the number of output stacks will always be exactly the selected Display number. When enabled you may see anywhere from zero (that is, none!) up to and including the Display number. 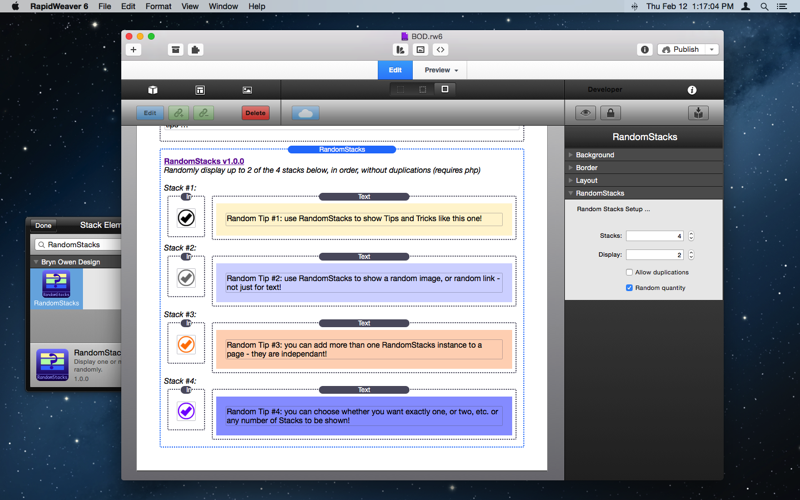 Tip #3: to show a random quote, take at look at the RandomQuote Stack instead!